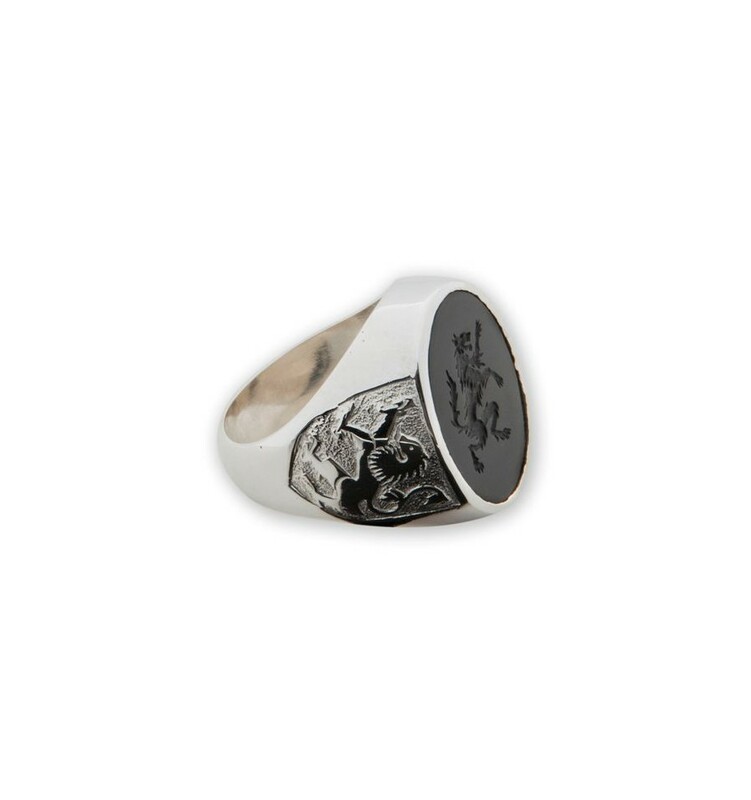 Black Onyx ring with a Heraldic Hairy Wolf Looking Sinister Rampant. 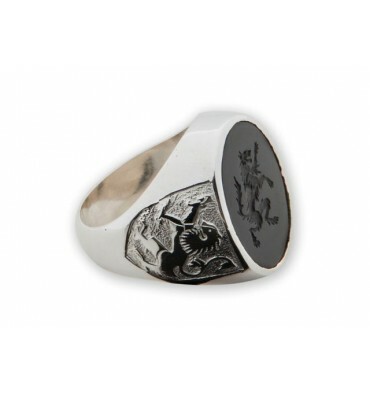 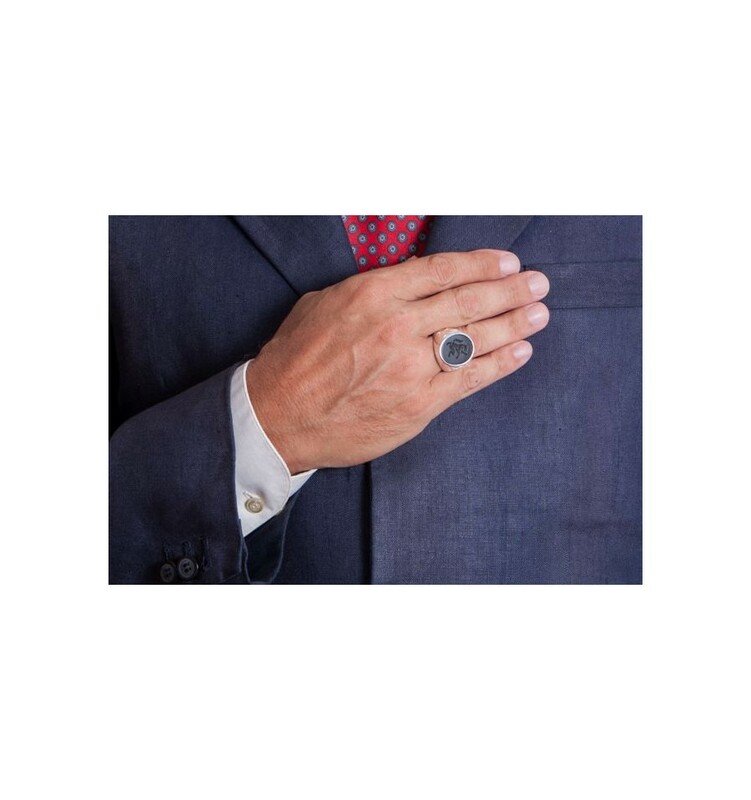 A fine Intaglio Sterling Silver signet Ring. 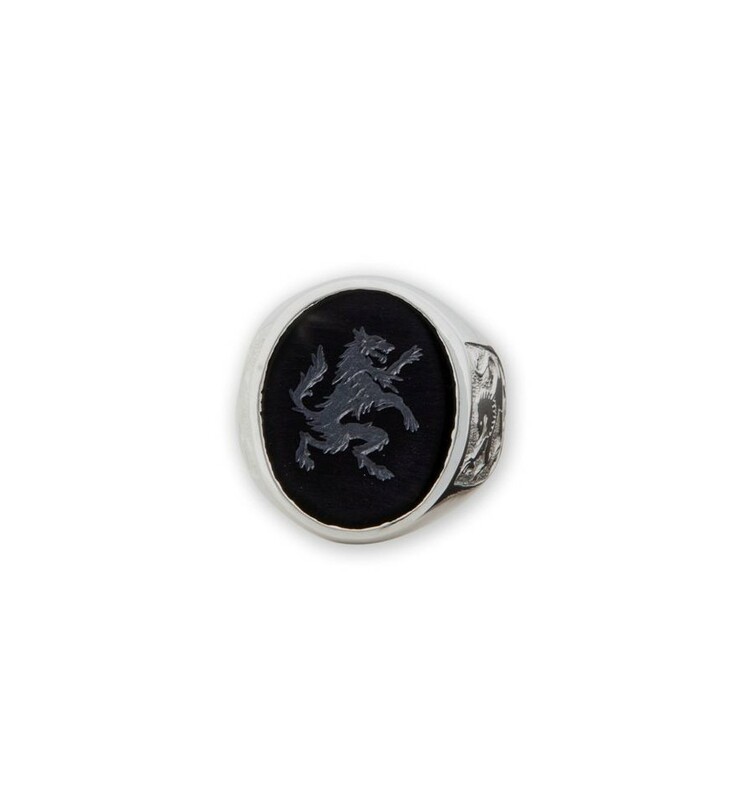 Black Onyx ring intaglio hairy wolf looking sinister rampant with shoulder embellishments of the lion of Scotland in sterling silver. 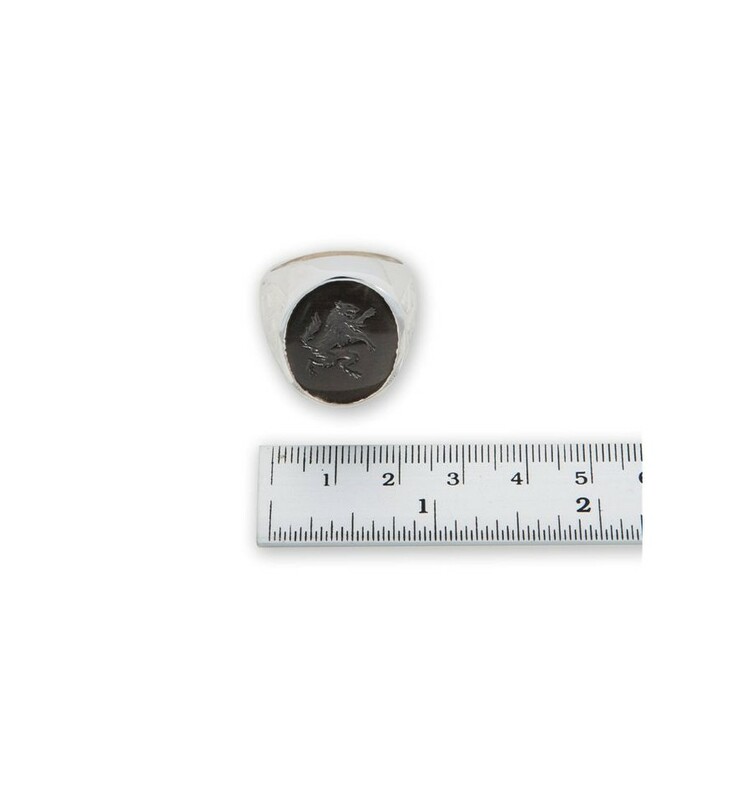 FREE Worldwide Shipping by registered (to be signed for), trackable post. 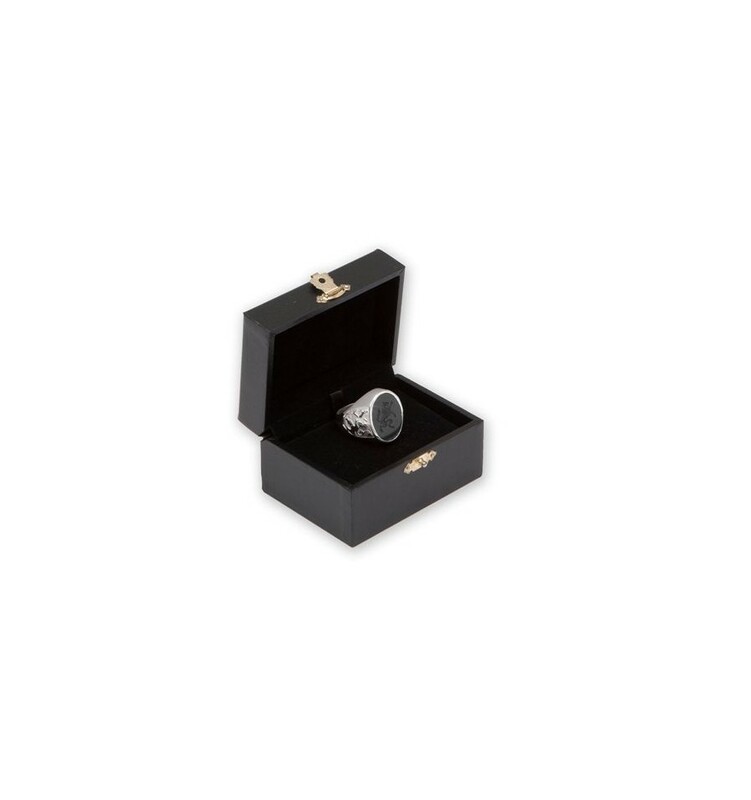 That's why our high quality Black Onyx rings are so affordable.